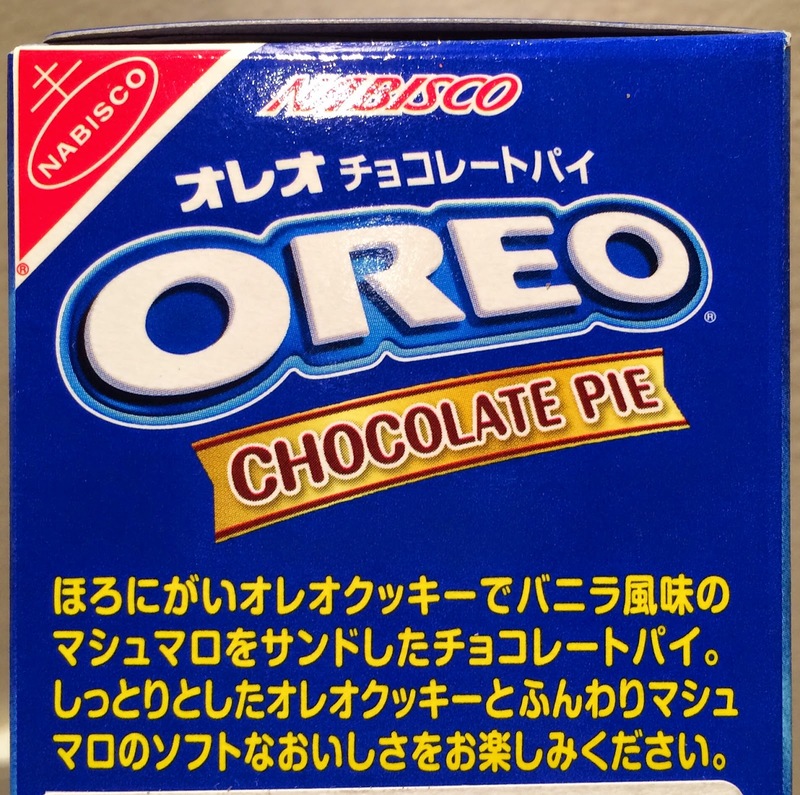 We found this "Oreo Chocolate Pie" at Mitsuwa in New Jersey early in March. 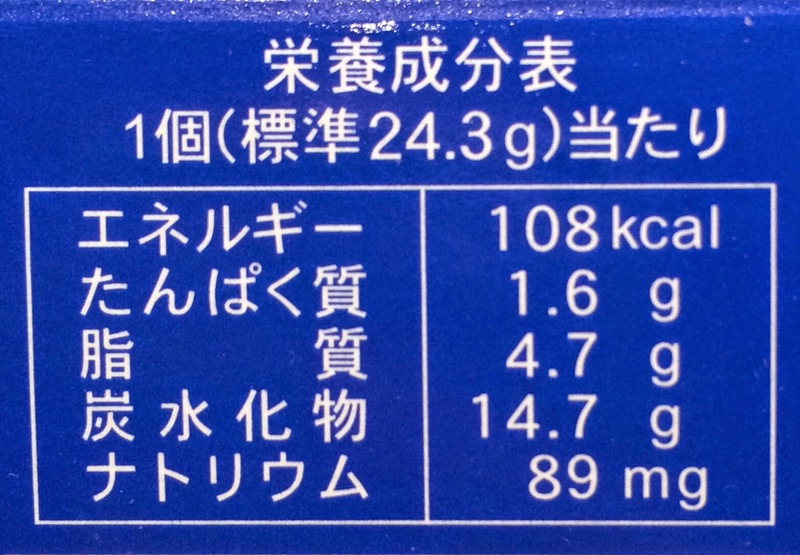 Apparently, this product was launched on September 22, 2014 for 250 JPY (before tax) but I think we got it cheaper (about 2 dollars = 239 JPY as of March 25, 2015) maybe because yen is weak recently, or the supermarket wanted to get rid of this snacks as it expires on April 1, 2015. It's got 2 front designs to display sideways or longways. 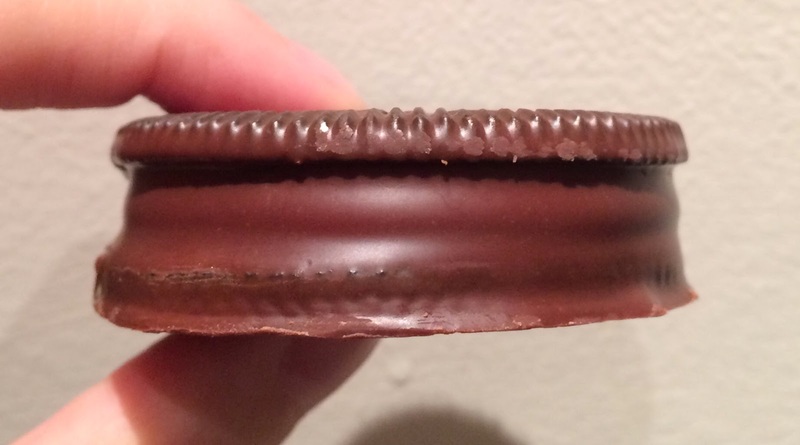 "This is a chocolate pie with a vanilla flavored marshmallow between slightly bitter Oreo cookies. 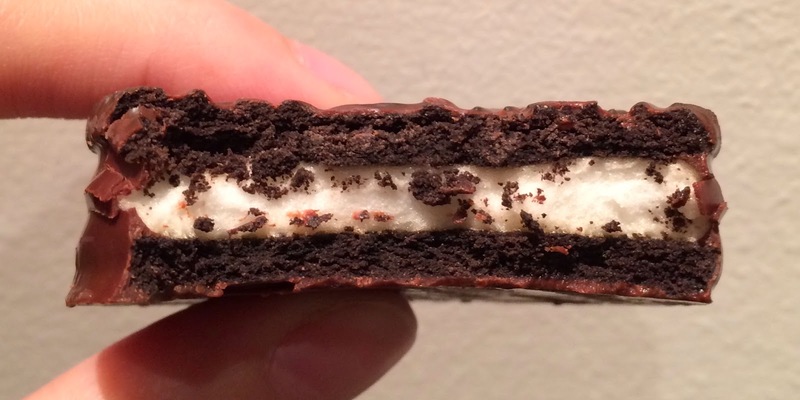 Please enjoy the soft lusciousness of moist Ore cookies and fluffy marshmallow." In the box, there're 6 light blue individual pouches. 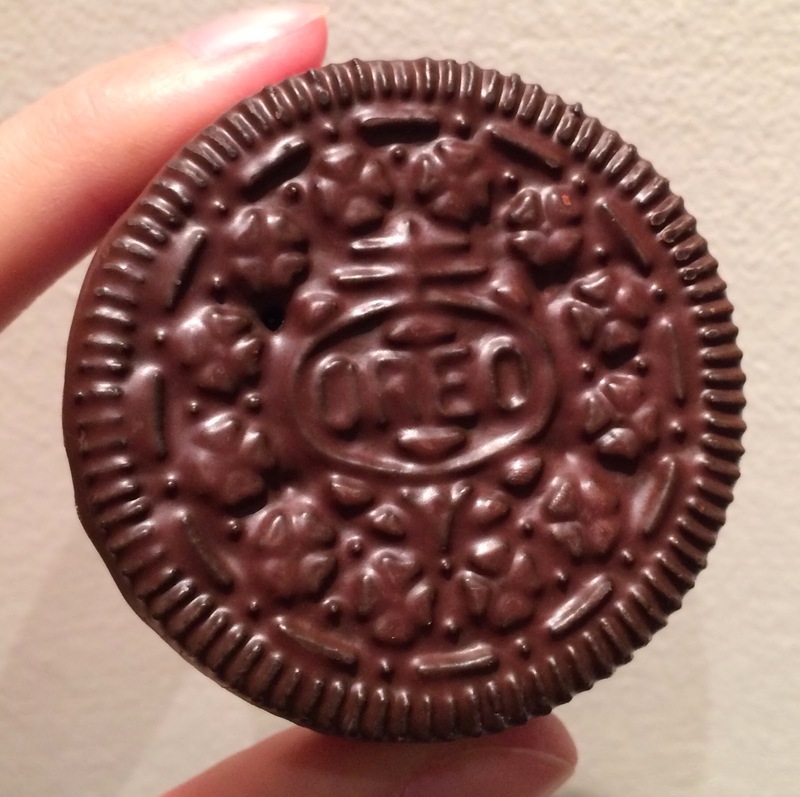 It's larger than regular Oreos and fully covered in chocolate. 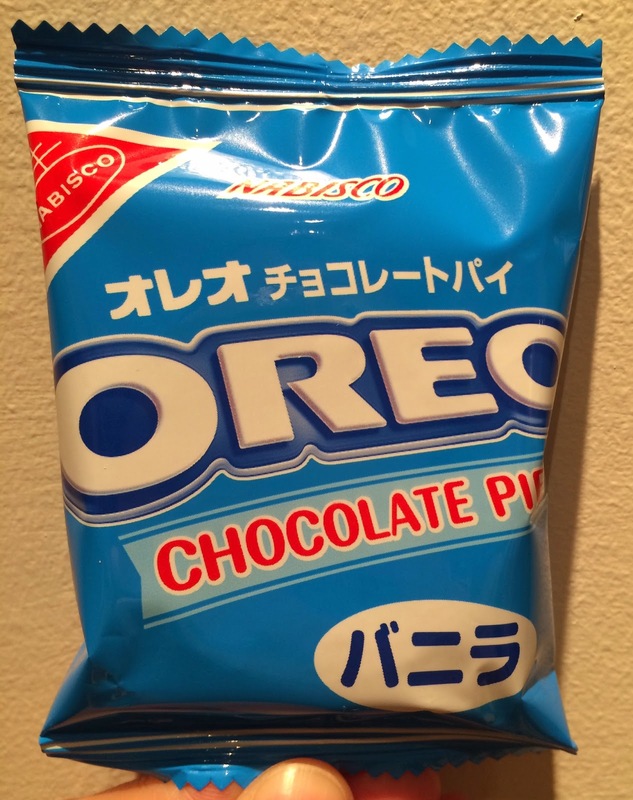 It had a strong alcoholic smell but it didn't taste that way. 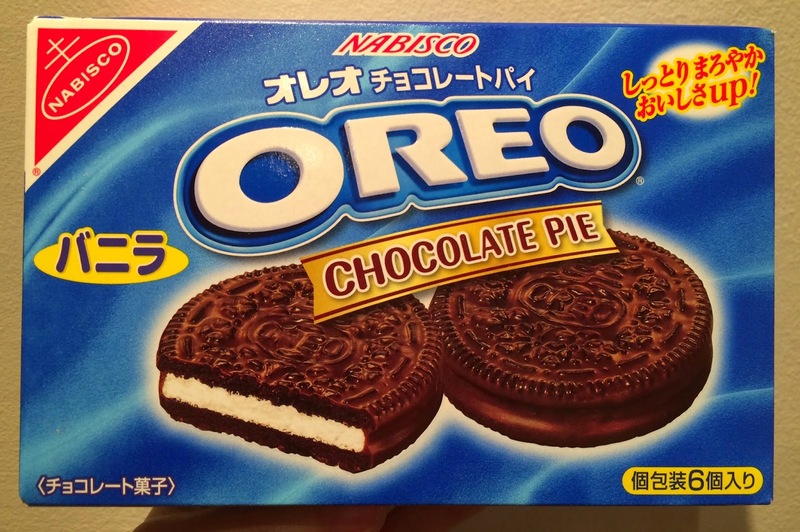 It's not crispy at all but soft and moist Oreo flavored cakes with chewy and bouncy marshmallow in-between. 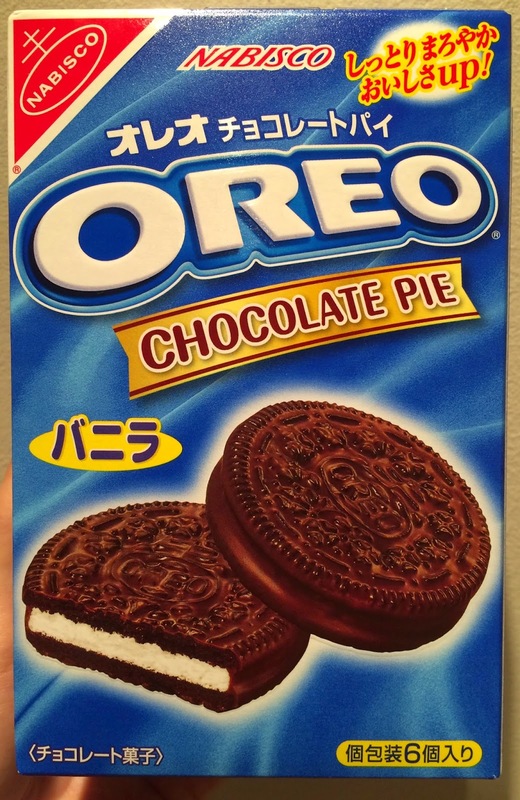 The chocolate coating was thinly applied so that it didn't give too much sweetness to the chocolate pie, but the sticky marshmallow was quite sweet so that the balance was good with subtly bitter Oreo cookie flavored cakes.